Smartphones have come a long way since Apple introduced the first iPhone, but there are people who believe that all the advancements that we've seen in recent years are not enough. Andy Rubin, who created Android, is one of them, which is why he has come up with an interesting new design for his new company's first smartphone. 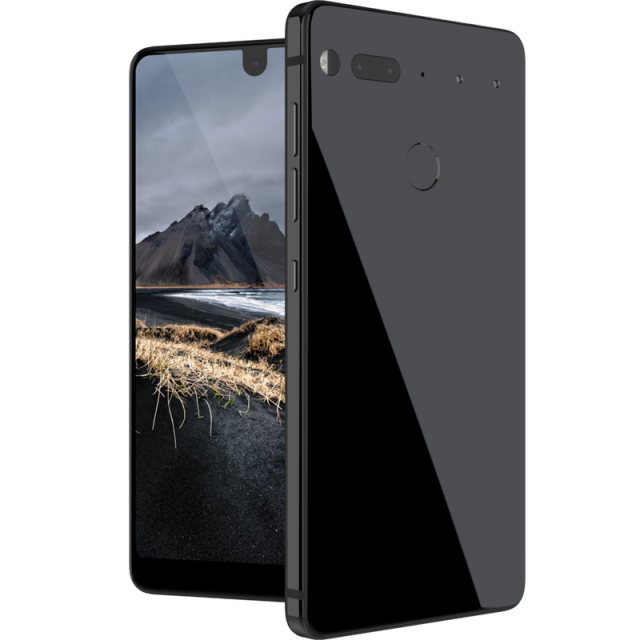 It's called the Essential Phone and it has everything you could want in a flagship smartphone today in a package that comes in at just under $700. But is it all that different to the typical flagship? First, let's look at the basic hardware. It has a 5.71-inch edge-to-edge display that takes up more space on the front panel than, say, the screen on the Galaxy S8 -- not to mention the panel that the iPhone 7 Plus comes with. The resolution is 1,312 by 2,560, so it has a pretty unusual aspect ratio -- 19:10 to be exact, which makes it way taller than a standard 16:9 display. The camera on the back has two 13MP sensors and f/1.85 lenses, with one of the two sensors offering a "true monochrome mode" that you can shoot in. It offers 4K video recording at 30FPS and 1080p video recording at 60FPS. The front-facing camera is an 8MP unit, with an f/2.2 lens, that is also capable of 4K video recording at 30FPS and 1080p at 60FPS. But, for those looking for a bit more, there is the option to attach a 360-degree camera to the back so you can record 360-degree videos with it. The camera attaches using two metal pins, which will also presumably be used by the upcoming charging dock. It is not a new concept, and old implementations haven't taken off, so it will be interesting to see how it works here. Also on the back is the fingerprint sensor. That's my personal least favorite placement, as it makes it impossible to unlock the device while it's on a table. But it is quite likely that the technology to have it embedded in the display is not yet here. In terms of processing power, the Essential Phone has a Qualcomm Snapdragon 835, with four cores clocked at up to 2.45GHz and the other four at 1.9GHz, and 4GB of RAM. The device has a 3,040mAh battery with fast charging support via the USB Type-C port. That is not class-leading by any measure if we consider that the smartphone is 7.8mm thick (it is also 141.5mm tall and 71.1mm wide and weighs less than 185 grams). It does not have a 3.5mm headphone jack either. The Essential Phone features 128GB of UFS 2.1 storage, which is better than its rivals offer in their similarly-priced flagships. However, there is no microSD card slot here, so if you want more you will have to turn to the cloud. As you can see, there is not a whole lot here that is different than what you can find on a Galaxy S8, for instance. The appeal of this device comes from the fact that it is manufactured by a different company, and you are unlikely to find many in the wild in the foreseeable future. It is also said to be more durable than an iPhone and Galaxy S7, judging by the photo posted on the company's site, but that is unlikely to steer many buyers towards it. And it is only sold as an unlocked device, so there is that to consider as well. How much does it cost? Well, there are two versions available. There's the basic package, which is just the Essential Phone, for $699, and then there is the version that includes the 360 degree camera, which can be had for $749. The device, however, is not readily available to buy, as the site has a "Reserve yours" button at the bottom of that page. OnePlus has succeeded in attracting customers by limiting supply, and it looks like Essential will likely do the same. Question is, how many people willing to spend that kind of money on a flagship smartphone are willing to wait to get an unproven device? Only time will tell. Oh, and it will only be available in US, in black, white, gray and green, for the time being.